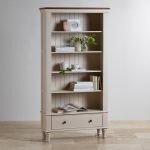 An ideal place to showcase all your favourite books and belongings, our Shay tall bookcase is designed to work hard in any room in your home. 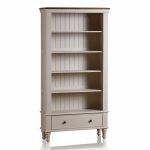 Made with only 100% solid hardwood, in a beautiful painted finish with a solid oak top, it is truly eye-catching, and will last for years to come in your living room, library, and more. 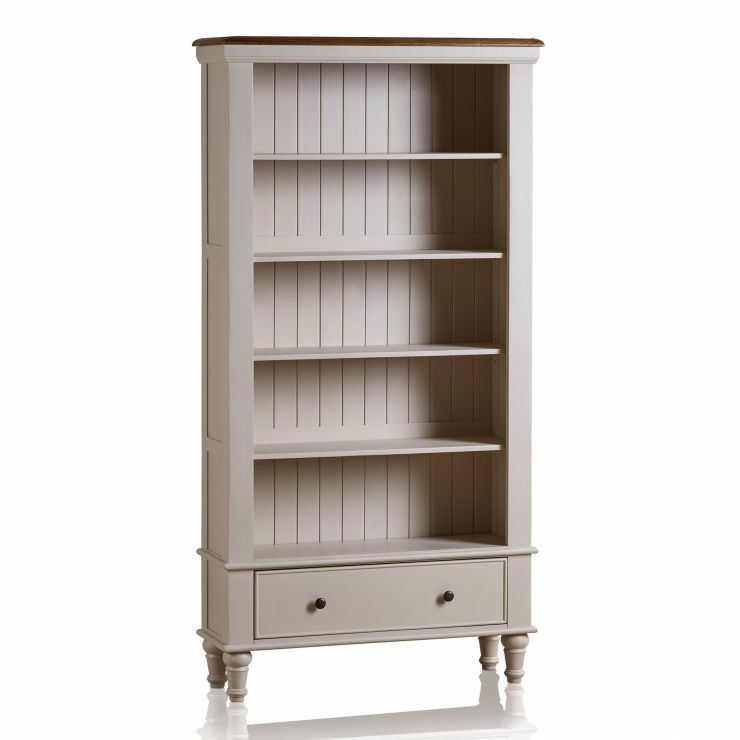 Our Shay collection has been painted a stunning almond grey shade, and the oak top is rendered in our rustic finish to complete the look. 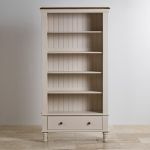 The shelves are thick and robust so they won't warp or bow over time, and the piece also has a deep drawer for hidden storage. 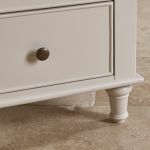 Complete with solid hardwood base, back, and runners, and real dovetail joints, it is durable for everyday use and will keep your things safe. Shay has been crafted to embody simple elegance, and its signature design elements show that. 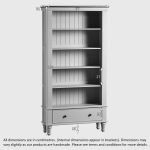 From the delicate top cornice, to the gently turned legs, dark metal hardware and panelled back, no detail is spared, nor is it over thought. 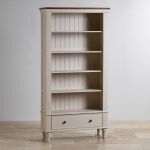 This bookcase will look comfortably at home whether you live in an old country cottage, a new build, or anywhere in between! Browse all our fantastic Shay pieces today.